The credit crunch and recession caused financial fear -- or much worse -- for almost all Americans. So it's no great shock that our borrowing habits have changed. However, you might be surprised by a new report from TransUnion, one of the Big Three credit bureaus, that reveals just how different things are now from less than a decade ago. One of the biggest and most significant shifts is in the age distribution of borrowers. Imagine everyone in the country (age 20 and older) who has one or more open loans of any of the types reported to credit bureaus. At first glance, you might not be worried that 48.4 percent of those are 50 years of age or older. After all, the AARP expects that cohort to comprise 45 percent of the overall population next year, so its members' propensity to borrow is only slightly higher than average. Shouldn't their borrowing needs be lower, not higher, than average? Shouldn't those in the 20-49 age group be way more likely to have such credit accounts? After all, it's they who are often buying homes and juggling the expenses of raising a family at a time in their lives when they may not have reached their peak earning capacity. The answers to both those questions used to be "yes." But, since 2005, the proportion of all borrowers who are in the 50-plus age group has leaped 22 percent, while the proportion in the 20-49 age bracket fell 15 percent. As bad, those age 60 and older on average owe close to $70,000 in 2014, compared to $40,000 in 2005. Meanwhile, those under 40 owe roughly the same now as they did then. Mortgages accounted for 76.0 percent of all the dollars owed by consumers with active credit accounts in 2005, and 75.7 percent in 2014. Such a huge and near-static proportion of the total masks some significant changes in other types of borrowing. 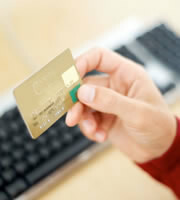 For example, this year, credit card debt represented 17 percent less of that total than it did in 2005. But the really big change was in student loans. These make up 7 percent of all the money owed this year, compared with just 2.8 percent in 2005. That means that their share of total debt has rocketed by 153 percent. In dollar terms, the average sum owed on student loans across all consumers with active credit has jumped 70 percent: to $29,575 in 2014 from $17,443 nine years ago. No wonder, in TransUnion's words, "For younger consumers, student loan growth may be crowding out other loan types." You can see just how pervasive this crowding out is if you isolate the figures for people age 20-29 years. The average student loan debt across this cohort was $15,854 in 2005. It's now 60 percent higher: $25,525. Over just five years, from 2009 until 2014, the value of mortgage borrowing is down 9 percent for these younger people, while credit card balances are down a vertiginous 29 percent. Indeed, earlier this year, the Federal Reserve Bank of New York reported that 27- to 30-year-olds with student loans (you know, college graduates, who are our brightest and best) have since mid-2011 -- and for the first time -- been less likely to have mortgages than those of their peers who don't have such borrowing. Within this context, you can see why people in that 20-29 age group may be reluctant to have credit cards. Even those with good or great credit are more likely to be cardless than those with similar scores across all ages, according to TransUnion. For some of them, that's undoubtedly a good thing. Anyone who struggles to manage their money responsibly is well-advised to steer clear of plastic. But most people this age have shown themselves to be good with money. TransUnion reckons that the average total credit card balances across all age groups is north of $5,000, while the same number for those in this age cohort is well under half that. So the huge majority of 20-somethings, who are disciplined about their spending but spurning plastic, are surely cutting off their noses to spite their faces. They're missing out on the boosts to their credit scores these cards can bring. They're missing out on the miles, points and cash back rewards credit cards deliver. And they're missing out on the superior fraud and other consumer protections that only this type of plastic provides. And that's a shame. Because they could be getting all those benefits without borrowing a cent. 0 Responses to "Credit cards, mortgages, student loans … How our borrowing's changed in a decade"